The holiday season is over and the New Year is upon us! 2017 is sure to bring some exciting events and announcements. To take a look back at many of the incredible moments we experienced in 2016, watch our slideshow. 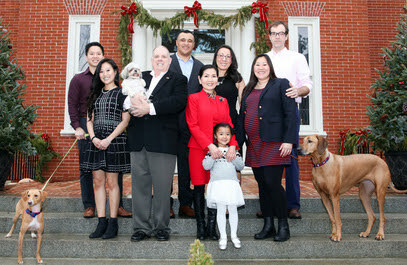 Although we’ve been very busy gearing up for the 2017 legislative session, I did get to take some time to enjoy the holidays with family. Sadly, our beloved dog Lexi passed away on December 28, but we were very lucky to spend one last Christmas with her. We are starting the new year full steam ahead with the unveiling of our 2017 Maryland Jobs Initiative and our 2017 Environmental Agenda. You can read more about both of these legislative priorities below. As we look forward to the upcoming legislative session and plan for the year ahead, stay tuned to future newsletters for a firsthand look at the progress we are making to change Maryland for the better. With session less than one week away, the Hogan administration is busy announcing our legislative priorities for 2017. Earlier this week, Governor Larry Hogan unveiled the 2017 Maryland Jobs Initiative, a comprehensive legislative package that provides incentives for employers to create thousands of jobs, as well as investments in education and workforce training to put even more Marylanders back to work. Governor Hogan made the announcement in Baltimore City, one of the areas his initiative will target. The Maryland Jobs Initiative includes the More Jobs for Marylanders Act, which eliminates all state taxes for ten years for new manufacturing employers that create jobs in high unemployment areas; expanding the state’s P-TECH school program to prepare students for the jobs of the future; the Maryland Partnership for Workforce Quality program to encourage businesses to invest in employee training; cyber jobs training grants to address skills gaps in Maryland’s growing cyber and tech industries; and the Cybersecurity Investment Incentive Program to provide tax credits for investors in Maryland-based cybersecurity startups. 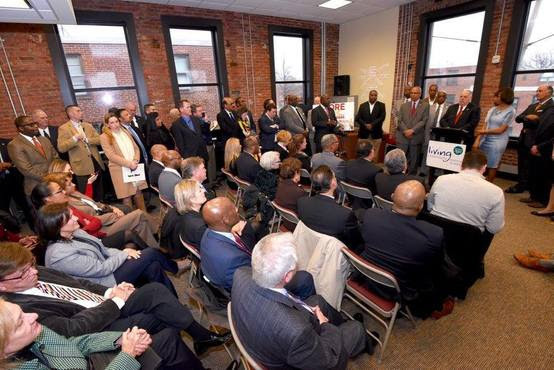 To learn more about the Maryland Jobs Initiative and its components, click here. Governor Hogan unveils the Maryland Jobs Initiative at POWER House Community Center in Baltimore alongside city leaders. Governor Hogan this week also announced his 2017 Environmental Agenda, a package of four initiatives designed to protect Maryland’s natural resources while fostering economic and job growth. The package includes a $3 million investment in Maryland’s EARN Program to train 1,500 workers for jobs in green energy industries; the Clean Cars Act of 2017, which will increase the investment in the Electric Vehicle tax credit program and double the Charging Station rebate; $7.5 million in funding to create the Green Energy Institute, a collaboration between the University of Maryland Energy Research Center and the Maryland Clean Energy Center; and the Clean Water Commerce Act, which will allow up to $10 million of the Bay Restoration Fund to be used to purchase nutrient reduction credits. To learn more about the governor’s 2017 Environmental Agenda, click here. Governor Larry Hogan reaffirmed that the administration’s top legislative priority for the 2017 session of the Maryland General Assembly will be the immediate and full repeal of House Bill 1013, more commonly known as the Road Kill Bill. 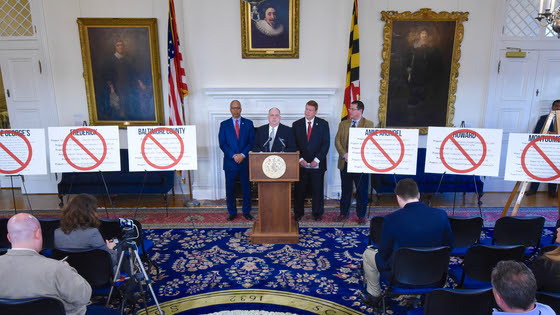 At a State House press conference, the governor was joined by Maryland Transportation Secretary Pete Rahn in announcing the administration’s plan to submit emergency legislation to repeal the Road Kill Bill and return the prioritization of transportation projects back to local jurisdictions. The bill was passed and became law over the governor’s veto during the 2016 legislative session. Due to an extremely flawed and biased scoring system implemented by the law, major priority transportation projects will be canceled in every jurisdiction in the state. Under the legislatively mandated scoring system, 66 out of 73 transportation projects are fully canceled. To see a full list of projects in jeopardy, click here. Governor Hogan announces that 66 out of 73 transporation projects will be canceled if the Road Kill Bill is not repealed. Click here to watch the full reveal! 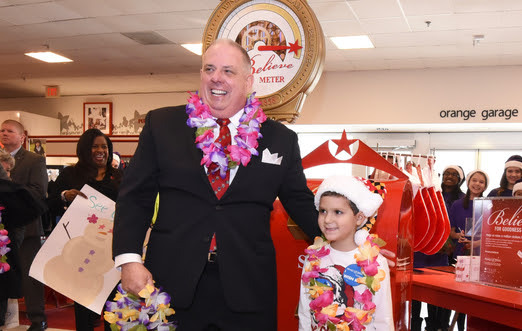 Governor Hogan tells Andrew, who has t-cell leukemia, that his Wish to go to Hawaii is coming true. 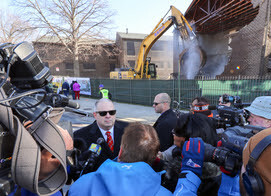 Governor Larry Hogan announced awardees for demolition funds through Project C.O.R.E., or Creating Opportunities for Renewal and Enterprise, a multi-year city-state partnership to demolish vacant and derelict buildings in Baltimore and replace them with green space or create the foundation for redevelopment in Baltimore City. For more information about Project C.O.R.E., including maps and applicable state programs, click here. InfoZen, an advanced IT services and solutions provider for the federal government, is expanding its corporate headquarters in Montgomery County and creating 100 new jobs by the end of next year. The company is currently renovating its office space on Rockledge Drive and adding an additional 25,000 square feet to accommodate its growing workforce. 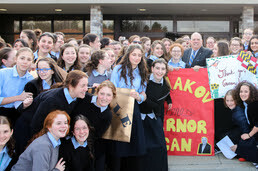 Governor Larry Hogan visited Bais Yaakov of Baltimore, a Jewish school for girls, to announce that Maryland will double funding for the Broadening Options and Opportunities for Students Today, or BOOST, program to a total of $10 million over the next three years. The program provides scholarships for low-income students in areas with under-performing schools to attend non-public schools, giving them the opportunity for a better education. Several BOOST recipients currently attend Bais Yaakov. In partnership with the Maryland General Assembly, Governor Hogan last year dedicated $5 million in BOOST scholarships for low-income students to attend non-public schools. A BOOST advisory board met eight times over the summer to determine criteria for eligible students and schools, as well as the amounts of each scholarship. Over 5,000 applications were submitted to a statewide application process with over 3,000 of those applications deemed eligible. 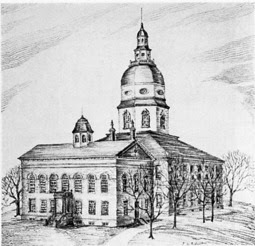 George Washington’s resignation as commander in chief of the Continental Army and the ratfication of the Treaty of Paris both took place in the State House in Annapolis!